Before there was Lutestuff.com, there was Instrumenta Antiqua. IA was created in 1964, long before personal computers. Its mission was (and still is) to reveal to the world the extraordinary music that was popular in Europe 400 years ago. Who (in 1964) could have foreseen the electronic revolution to come and the Internet? It seems astounding that lute music has made it to the WWW in 2019! This says much about the quality of the art they practiced long ago and the enduring beauty and power of the lute. Stanley Buetens’ books and teachings introduced many decades of classical musicians to a great quantity of rarely published music. I could never match his knowledge of the lute, but he did inspire my love of publishing and design, so I will continue to sell his books. I released his final collection of unreleased music as digital download, Lute Ensemble: Stanley Buetens Recordings 1964-1995 (or find in on Amazon or iTunes) which he was working on until his illness. Stan Buetens co-founded the Lute Society of America with Ken LaBarre, his student and collaborator on several lute works offered here. 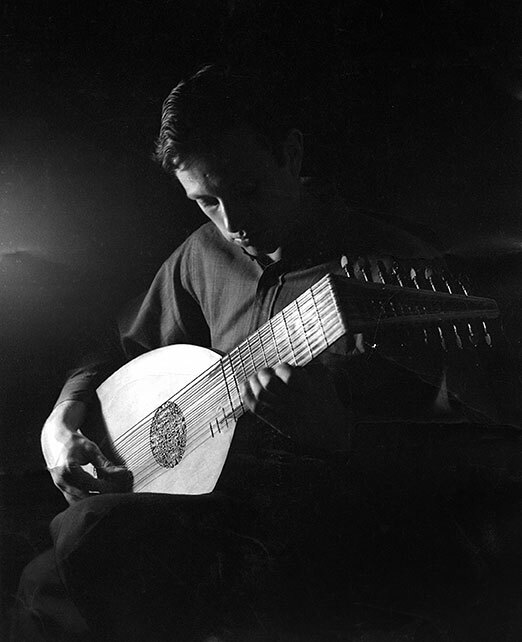 Stan was invited to teach the lute at Stanford University in 1966 and became president of the LSA in 1967. Instrumenta Antiqua was also co-founded with Ken LaBarre but most of the books were produced in California. They helped initiate a modern revival of the lute. The Method for the Renaissance Lute sold more than 20,000 copies and helped launch the career of many lutenists playing today. It is still available in its 7th printing. The other works in this catalog also have had a profound impact on the lute world.